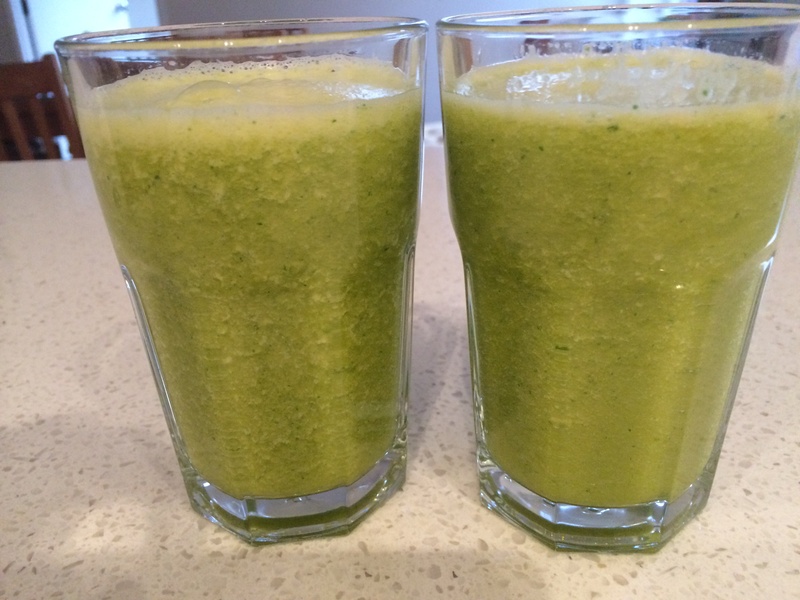 Power start the day with green smoothie… Miss 8 says what’s in it? She wrinkles up her nose at the ingredients but then I say it’s “dragon juice”. She immediately downs it and says ohhhh yummy. In the green smoothie today orange, lemon, mandarin, a few ice cubes and a cup of water, mint, cucumber, parsley, linseeds, lettuce and ginger blitzed for about 30 sec on speed 9. Most recipes say a minute but to cut the noise down in the morning so 30sec still works fine. Mix and match from guided recipe to the many combinations on the web and recipe community. Notes: rinse lid after juicing, the green juice can discolour the lid if you leave an hour before cleaning, probably the acid from the lemon juice.